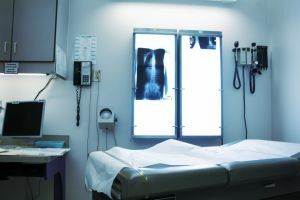 Medicare payments to community health centers are expected to increase by as much as $1.3 billion over the next five years, according to Bloomberg News, based on a new prospective payment system. On April 30, 2014, the U.S. Department of Health and Human Services’ Centers for Medicare & Medicaid Services (CMS) rendered a Final Rule that, among other things, implements methodology and payment rates for a prospective payment system (PPS) for federally qualified health centers (FQHC), effective October 1, 2014. The Final Rule stems from the Affordable Care Act’s (ACA) provisions to establish a new payment system for FQHC services under Medicare Part B (supplemental medical insurance) based on prospectively set rates. FQHCs are vital to our nation’s healthcare delivery to underserved, urban, rural and tribal communities. FQHCs are community health centers that receive federal grants under Section 330 of the Public Health Service Act. Although there are different types of FQHCs, Section 330 grantees are the most common. FQHCs may be either not-for-profit or public organizations. FQHCs deliver care to underserved areas or populations, offer a sliding fee scale and provide comprehensive medical services. These health centers are often referred to as “safety net” providers, with the main purpose being to increase the provision of primary care services to underserved urban and rural communities. FQHCs typically furnish services in an outpatient clinic setting. FQHCs qualify for enhanced reimbursement from Medicare (and Medicaid). FQHCs are “essential to countless patients in local communities who depend on them for getting their primary and preventive care,” according to CMS. Historically, FQHCs are paid an all-inclusive rate (AIR) per visit for qualified primary and preventive health services rendered to Medicare beneficiaries. The Final Rule will implement a national encounter-based prospective payment rate for all FQHCs, calculated based on average reasonable costs of FQHCs in the aggregate, and compensate FQHCs according to the lesser of actual charges for services or a single encounter-based rate for professional services furnished per beneficiary per day. The rules will “allow an exception to the single, encounter-based payment when an illness or injury occurs subsequent to the initial visit, or when a mental health visit is furnished on the same day as the medical visit.” Final Rule, p. 13. CMS proposes to establish payment codes according to proper descriptions of FQHC services based on their type, intensity and duration. Under the new payment system, FQHCs stand to benefit financially. About 3,800 FQHCs should receive payments that increase by as much as 1/3. The Final Rule should have a significant impact upon payments to FQHCs. CMS estimates that the overall impact will be an increase in Medicare payments to FQHCs by approximately 30 percent, with an annualized cost to the federal government between $183 million and $186 million. Our Atlanta healthcare law firm represents and protects the interests of FQHCs. We have offices in Atlanta and Augusta. If you need additional information, contact us at (404) 685-1662 (Atlanta) or (706) 722-7886 or info@ksllawfirm.com.